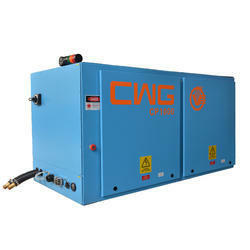 We are a leading Manufacturer of cp 1000 / cp 1500, co2 laser generator cp 2000 / cp 2500 and co2 laser generator nt 1000sm / nt 1500sm from Ahmedabad, India. Completely new integrated structure design, the smallest volume in the same type of product. The output laser beam can be directly led into the processing system, reduce the installation space as much as possible. Laser communication software, real-time data monitoring, flexible switching between internal and external control, simple and easy to understand user interface, comprehensive function. Precision machined aluminum alloy end plate and the very low thermal expansion coefficient water cooling invar, to form a no-deformation light bridge, to eliminate the influence of temperature deformation upon resonator, and to get excellent optical stability, which guarantees the stability of laser power. Based on the advanced stress balance mechanical design, the suspension installation technology is adopted to eliminate the influence of the vibration on the resonator , which ensures the excellent beam quality and pointing stability. International first-grade brand of oil-free turbine, completely avoid the influence of oil pollution on the mixing gas, discharge tube, and the cavity mirror, greatly reduce the cost of operation maintenance. The innovation design for the discharge structure and anti sputtering electrode, prevent gas from deterioration, ensure the high stability of discharge. 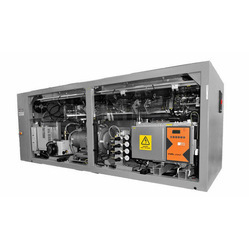 Equipped with intelligent gas mixing unit, without the need to buy pre-mixed gas, which will be more economical and convenient. According to the actual power, the intelligent gas mixing mode will regulate the gas consumption and reduces the gas consumption of the laser. 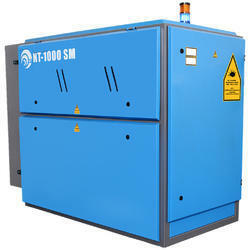 The power consumption of the laser has been reduced because of the high photo-electric efficiency. DC excited high voltage laser power supply which is strong anti-interference, high efficiency and stability. Fast response and high peak pulse laser output power, which can improve the laser drilling quality and shorten the drilling time. Full power and stable operation for 24 hours. Based on the advanced stress balance mechanical design, the suspension installation technology is adopted to eliminate the influence of the vibration on the resonator, which ensures the excellent beam quality and pointing stability.